That laugh is Yogg's, just try. Still can end games with Surprise ! Boom, straight to the face. Far best golden card animation. dude! 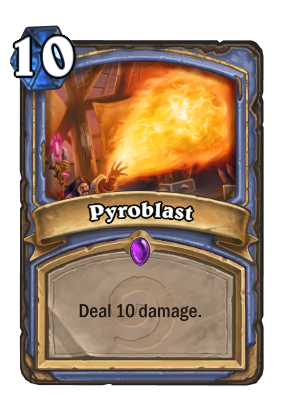 if you have 2 Fireballs, you deal 12 damage and spend just (8) mana, but Pyroblast deal 10 damage and cost (10)!